Do you get sweaty palms or a nervous stomach while waiting to see the dentist? Do you have a paralyzing fear of the dentist that causes you to cancel your dental appointments time and time again? We can help you at Ora Dentistry. In fact, our Elk Grove practice specializes in treating patients with dental phobia. To ensure we are able to treat patients with varying levels of dental anxiety, our office offers soothing amenities, oral conscious sedation and IV sedation. Dental phobia, or dental anxiety, is a very real condition. In fact, it keeps countless patients from seeing the dentist each year. At Ora Dentistry, we realize that dental anxiety can be a major obstacle to dental care, whether it involves routine visits, restorative work or cosmetic procedures. Your smile deserves professional attention, and we won’t let your dental phobia stand in the way. You’ll find that our office goes above and beyond to create a comfortable, stress-free visit just for you. 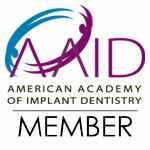 Regardless of the cause, sedation dentistry is typically the most effective way to treat patients with dental phobia. Our office offers both oral conscious sedation and IV sedation, depending on your personal preferences and the severity of your anxiety. Both forms of sedation are completely safe and allow you to remain in a fully relaxed state while your smile is tended to. To learn more about how we treat patients with dental phobia, contact Ora Dentistry today. Comfort dentistry is what our Elk Grove practice was built on.